Wedding anniversaries are times that ought to be appreciated and remembered. 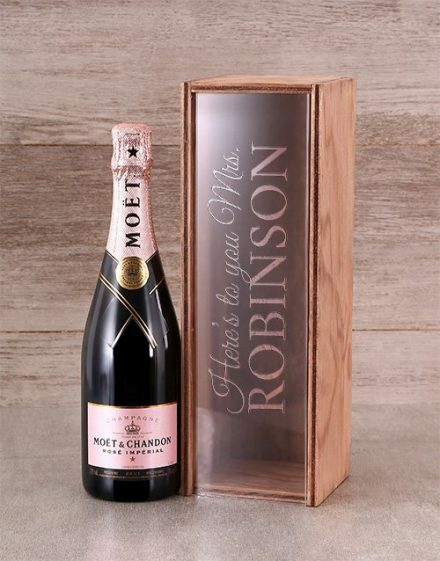 Observe your anniversary with this unforgettable personalised “Happy Anniversary” design imprinted in to the Perspex lid of a beautiful mahogany wood crate. 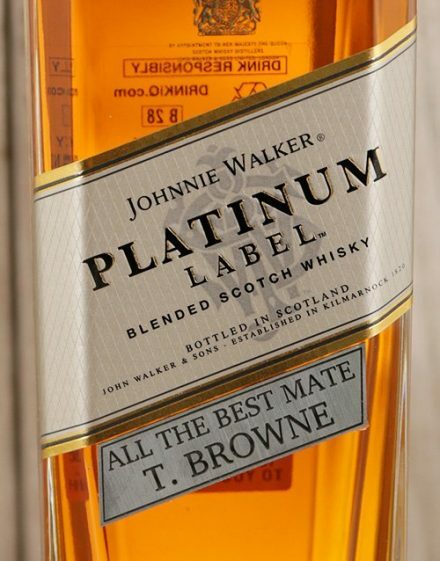 Rejoice the time you’ve been together by engraving a small message towards your partner as part of the customised design. 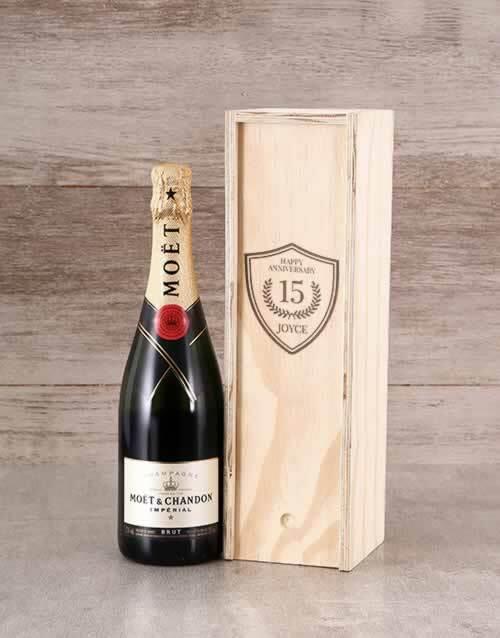 Select your preferred bubbly to fit tight within the gift crate. Options are:, Pongraçz Classique, JC Le Roux Le Domaine and Moët & Chandon Brut (Non-vintage). *Colour and regularity of the engraving will vary based on the wood grain.